As the population grows older each year, the number of seniors who are moving is growing too. We know that moving, at any point in your life, is one of the most stress-full things you can do, but it can be even harder as you grow older. AG Moving understands the stress involved in moving, and we will be right there, with you, to help make your move as stress-free as possible. We realize that seniors often have challenges, needs, and circumstances that are unique. Whether you are moving from the family home you have built your life in, you have decided to downsize, or you just want to move closer to family, the relocation process can be incredibly challenging, stress-full, and emotional. We want to walk through the moving process with you. From start to finish, AG Movers will make sure your cherished belongings arrive at their destination safely, with the most professional packers and movers, in Texas. Let us prove to you why we are the best! AG Movers knows that sometimes you are just too busy, and you don't have the time to pack up your things and prepare for your move. Or, maybe you are physically not able to pack up your belongings. That's okay, we've got you covered. We offer reliable and affordable packing and unpacking services. Our packing professionals have been thoroughly trained, in the very best packing methods, and we take pride in making sure that your valuables arrive without any chips, breaks, or losses...that's our guarantee! 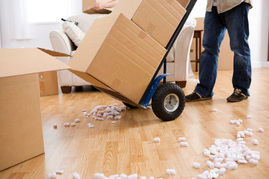 ​Our professional movers will treat your valuable belongings with care and respect, as if they were their own. The will take time to make sure your valuables are loaded on the truck, transported to their destination, unloaded, and placed in your new home carefully, and thoughtfully. Each box, or piece of furniture is important to you, and if it's important to you...it's important to us! And, if you need assistance re-assembling a piece of furniture please let us know, we can do that too! We want your transition to go as smoothly and worry-free as possible. It doesn't matter if you're moving across town, across the state, or across the country, you can trust the professionals at AG Moving to make it happen! Metro Dallas homeowners and renters all agree, AG Moving is #1. 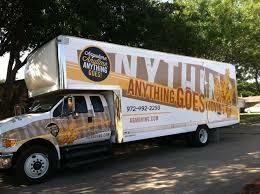 Let our professionals show you why...call today for all your moving needs.